People from across Greater Manchester are coming together to support community-owned renewable energy. A number of community groups are looking to put power back in the hands of local people by setting up renewable energy projects where communities are in control and profits are used to benefit local people and the environment. Please support these groups and show your love for community energy by signing our pledge. Why is community energy important? We need to rethink the way we generate and use energy if we want to tackle serious issues such as fuel poverty and climate change. Our energy supply is currently dominated by six big energy companies which are making huge profits from high energy prices and keeping us hooked on dirty energy. Community energy helps to break the strangehold of the Big Six by putting local people in control of their energy and using any profits to benefit the communities they live in. What are the benefits of community energy schemes? The schemes will generate green electricity, helping to reduce CO2 emissions and tackle climate change. The schools and community buildings which take part in the schemes save money on their energy bills. Local people can invest in the schemes through a community share issue and receive an annual return on their investment. The projects support the local economy by using installers and suppliers in Greater Manchester where possible. Any surplus profits will be used to fund local projects for the benefit of the community. Which schemes can I support in Greater Manchester? 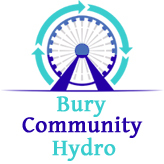 Bury Community Hydro is a team of four environmental activists from the Bury area who have come together to build an Archimedes screw turbine on the River Irwell at Chamberhall. The hydro plant will be community owned and run, and will supply clean, renewable electricity to local emergency services headquarters. The co-op already has over 30 Pioneer members and will be launching its main share issue over the coming months. Community Energy GM is helping 18 much loved community organisations come together and install solar panels on their roof. The money they save on bills can be spent elsewhere, on more job clubs for example. The groups are working together to not only raise the funds they need but to engage their whole community in their journey too. Helping to start conversations on climate change fuel poverty and energy. Greater Manchester Community Renewables was formed in January 2015 to help more schools and community groups generate clean energy, save money on their bills, and reap the educational benefits of installing solar panels. We’re currently working with three schools in Salford and a community building in Trafford, as well as creating links between existing community energy projects and helping new ones to get off the ground. 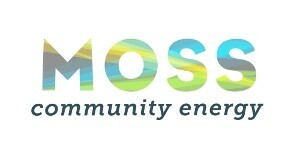 Moss Community Energy was formed in late 2014 following test drilling for fracking at Barton Moss. The group was originally formed by people from Irlam, Cadishead and Eccles, but is now open to people from across Salford. We are currently working on some Solar PV installations that we plan to launch in 2016. Profits from our projects will be spent on work on education, climate change and fuel poverty. Oldham Community Power are working with Oldham Council to install solar panels on the roofs of schools and community centres. A key part of our mission is to make sure that Oldham’s young people have the opportunity to get involved in this exciting sector, and we are working with the Government on a new community energy apprenticeship standard. Why should I sign the pledge? It shows that you support the work of these community energy groups or are interested in investing in them. It shows politicians that people want more community-owned renewable energy in Greater Manchester. The more people that support the projects, the more likely it is that they will be able to go ahead. We’ll be able to update you by email on the projects and let you know when the shares go on sale. You’ll be able to help us spread the word about community energy by sharing the pledge with your friends and colleagues.